Why are all Mercy mains female? Please stop asking this question. Hello. My name is Michelle. I play Overwatch, a team-based online multiplayer first-person shooter video game developed by Blizzard and available on PC, Playstation 4, and Xbox. 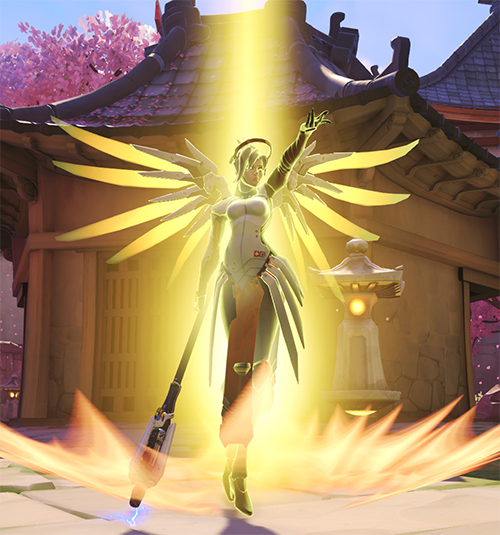 The character I play the most out of the 24 available heroes (my “main”) is Mercy, a female healer who resembles an angel and can revive other players from death. DISCLAIMER: Yes, there are male Mercy mains. Yes, there are women who don’t main Mercy. Yes, this list is a HUGE generalization, and not all female Mercy mains relate to any/all of these reasons. This is my perspective as a 24-year-old woman with a degree in Gender Studies who happens to main Mercy (on PS4). 1. Because women are less likely to have grown up playing video games, especially shooters, and Mercy rarely uses a gun. Yes, I know, it’s 2017 and girls can be gamers too! Girls are gamers! We play all kinds of video games! But if you look at the option of heroes available for women to play in Overwatch, and compare that with the types of characters they probably have played in previous video games, you’ll realize that it’s unlikely for a female player to choose Soldier 76, or Genji, or Reaper, or Hanzo, or… do you get it? In general, boys grow up playing shooter video games, being encouraged to take an interest in guns and violence, and not being judged for enjoying video games. Girls, on the other hand, are supposed to play with dolls, take an interest in nurturing and taking care of people, and generally don’t want to play shooter video games where they have to play as a male protagonist with overly sexualized female side characters. 2. Because Mercy is a woman. I was playing a match in competitive the other day, and I had grouped up with a 5-stack (all men) and we were talking about who we mained. I had been playing Pharah, since we already had two healers (Ana and Lucio), and I mentioned that I mained Mercy. In the next round, I decided to play D.Va, which elicited the comment, “How come every girl Mercy main also mains D.Va?” I see and hear this question in various forms all the time. The answer is: because they’re female. 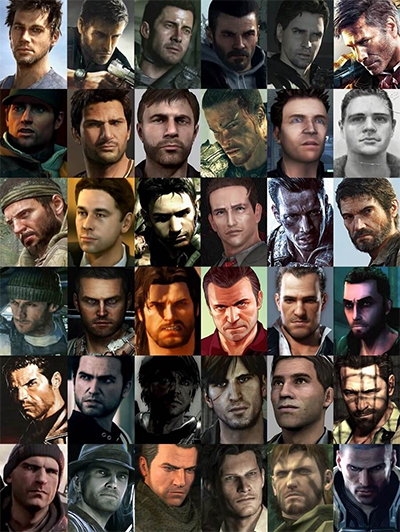 Look, women have been suffering through countless video games playing as scruffy white guy with a gun for years, and when a game as popular as Overwatch comes out with 11 (!) playable female characters and a female covergirl, we’re going to jump at the opportunity to play some badass women who (for the most part) are wearing normal amounts of clothing! Why would I choose to be angsty Call of Duty dad when I could be powerful flying rocket lady? Why would I play cyborg ninja with brother issues when I could play #1 Starcraft player turned mech warrior? 3. Because women are socially conditioned to take on a nurturing and passive role, while men are socially conditioned to be aggressive and violent. There is a HUGE “in general” in front of this statement. This is not biological. This is because society is still (for some reason) dictating how people should act based on what gender they are. Men should like guns, cars, video games, sports, etc. Women should like dolls, dresses, baking, gossiping, etc. Men are the leaders. Women are the caretakers. Men play DPS. Women play healer. Do I need to explain this more? 4. Because women are less likely to go on voice chat if they’re playing a DPS character for fear of harassment, which leads to confirmation bias. It’s a rare situation for a team to verbally harass their healer for not doing a good job, for fear of the healer switching off or not healing them. However, if the DPS isn’t playing well, getting enough kills, taking out that enemy Pharah, etc., they’re going to hear about it from the other members of their team. The people who say “Women only play Mercy” are taking their evidence from their own experience. Every game women have to decide whether it’s worth it to go on voice chat, due to the potential for harassment. If a woman plays a DPS character and chooses to go on voice chat, she knows she will be marked instantly and the other players will be watching her, quick to judge her mistakes and confirm their suspicions that “women aren’t good at video games.” This is much less likely to happen when a woman plays a healer. Also, because video games are still seen as dominated by men, when men hear a female voice on voice chat, they take note of it. I rarely see people mention how many men play Mercy in these discussions. 5. Because she’s a super useful character. With her burst healing and game-changing resurrection ability, not to mention her surprisingly damaging pistol, she’s always at the top of the “most played heroes” list. And why wouldn’t someone choose one of the most all-around useful characters to play? Best character in Overwatch, IMO. There are many more ways to answer the question “Why do all women main Mercy?” and I’ll probably add more as I continue to troll r/Overwatch, but hopefully this will help explain maybe just a little bit.